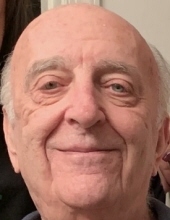 Joseph L. Petescia, 85, of Bridgewater, NJ, passed away peacefully on Thursday, January 24, 2019 at Robert Wood Johnson Hospital in Somerville. Born in Newark, NJ, he resided in Ringoes before moving to Bridgewater 10 years ago. Joseph retired from Coltec Industries as Controller in 1995 after 27 years of service. Joseph was an avid Giants fan, loved listening to music, traveling with his late wife Shirley, going out to dinner, and spending quality time with his family, especially his grandchildren. Joseph was always there to help a friend in need, most notably his neighbors at the Four Seasons. His kind heart will be forever missed by all who knew and loved him. He is preceded in death by his beloved parents, Antoinetta and Joseph Petescia; and his loving wife of 39 years, Shirley Martin Petescia (1997). Surviving are his dear son, Philip and wife Joy of Southlake, TX; his loving daughter, Bonnie and husband Tom Vellucci of Branchburg, NJ; his brother, Anthony of Union, NJ; and five cherished grandchildren, Thomas, Michael, Jacqueline, Cristina, and Caitlyn. Viewing will be held Saturday, January 26, 2018 from 9-10:30am with a prayer service beginning at 10:30am at the Branchburg Funeral Home 910 US Highway 202 South, Branchburg, NJ 08876. Entombment will follow at Hollywood Memorial Park. In lieu of flowers contributions may be made in his memory to St. Jude Children’s Research Hospital 501 St. Jude Place, Memphis, TN, 38105. To send flowers or a remembrance gift to the family of Joseph L. Petescia, please visit our Tribute Store. "Email Address" would like to share the life celebration of Joseph L. Petescia. Click on the "link" to go to share a favorite memory or leave a condolence message for the family.